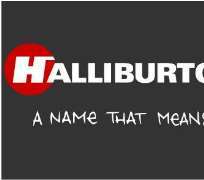 The presidential inter-agency panel set up by the Federal Government to unmask the beneficiaries of the Halliburton bribe scandal yesterday in Abuja quizzed Umaru Shinkafi, Funsho Kupolokun, and Dan Etiebet. Shinkafi was one-time Director-General of the defunct National Security Organisation (NSO), Kupolokun, former Group Managing Director of Nigeria National Petroleum Corporation (NNPC), while Etiebet was an ex-Minister of Petroleum. This brings to six, the total number of former top government functionaries quizzed by the Inspector –General of Police, Mr. Mike Okiro-led panel whose membership was drawn from the Economic and Financial Crimes Commission (EFCC), State Security Service (SSS) and a host of others. The panel had quizzed Air Vice Marshall A.D Bello (rtd), a one time Chief of Air Staff, Ibrahim Aliyu, the elder brother of Niger State Governor, Babangida Aliyu, and M.D Yusuf, a former Inspector General of Police and had been questioned by the panel in relation to the bribery allegation. The first two have since been released. Sources close to the investigation panel told THISDAY that the trio were cooperative while the interrogation lasted. None of them, the source said, was ordered detained, unlike Bello and Aliyu, who were ordered detained by the panel for further questioning when they were initially questioned. Bello had however, received temporary respite as he had been ordered released by a court as a means of enforcing his fundamental human rights. Meanwhile, the hunt for Jeffrey Tessler, a Briton, who allegedly used the account of Bello, the ex-Air Force Chief to get the money across to those listed as beneficiaries, continues, sources said yesterday. The panel had also sought President Umaru Musa Yar'Adua's approval to enlist the help of INTERPOL in tracking down the Briton and extradited to Nigeria to answer questions on the bribery scandal.